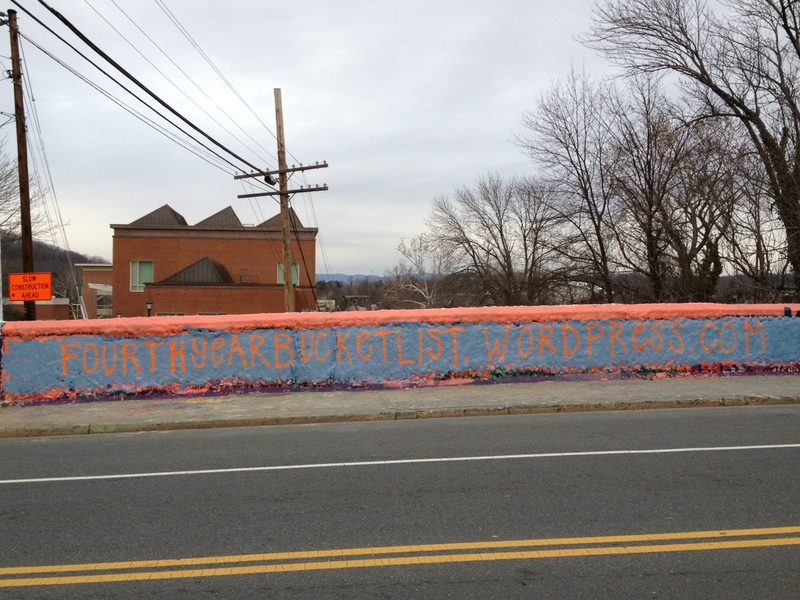 March 5, 2013 by Ellen H.
1923: Originally the Rugby Road Bridge, Beta Bridge was built over the train tracks as part of a project to make Charlottesville automobile-friendly. 1927: It was renamed Beta Bridge when the Beta Theta Pi fraternity house was built next to the bridge on the corner of Chancellor and Rugby. 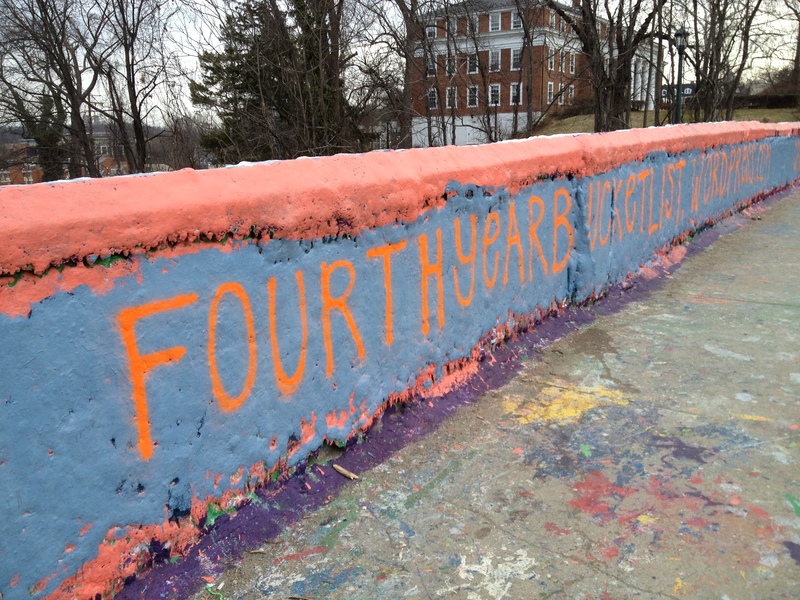 This morning, Cavalier Countdown took part in the tradition, checking another item off the bucket list, and leaving our mark on the famous bridge. If you found your way to this website from the bridge, welcome! In our case, it may not be artwork, but it’s proof that it’s effective advertising. 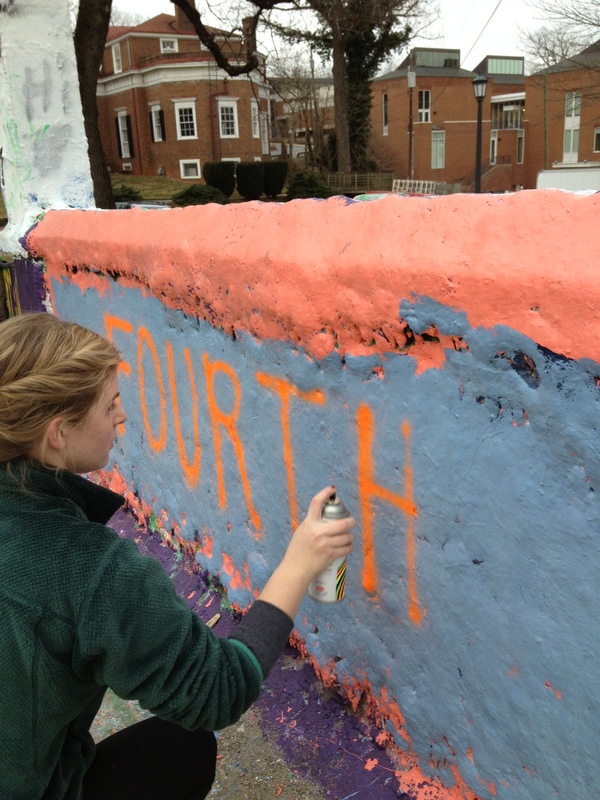 Traditionally, the bridge is painted under the cover of darkness, presumably so that by the time the student body is up and at ‘em the next day, they are greeted by new artwork and messages. 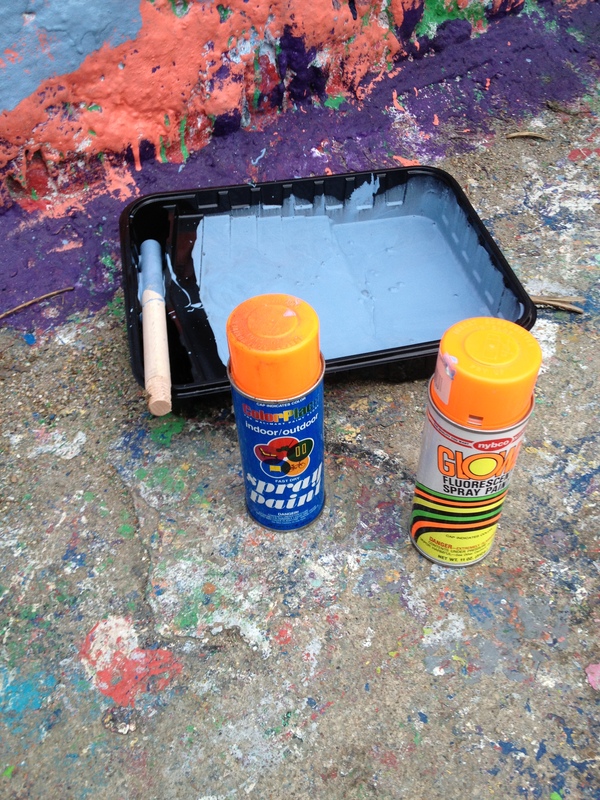 That said, you don’t want to paint too early in the night, or you run the risk off having your hard work painted over. Then again, painting early in the morning cuts into valuable sleep time. We settled for 7 am. Yeah, it was light outside but we figured most of the University wouldn’t notice. Not sure what materials you need? 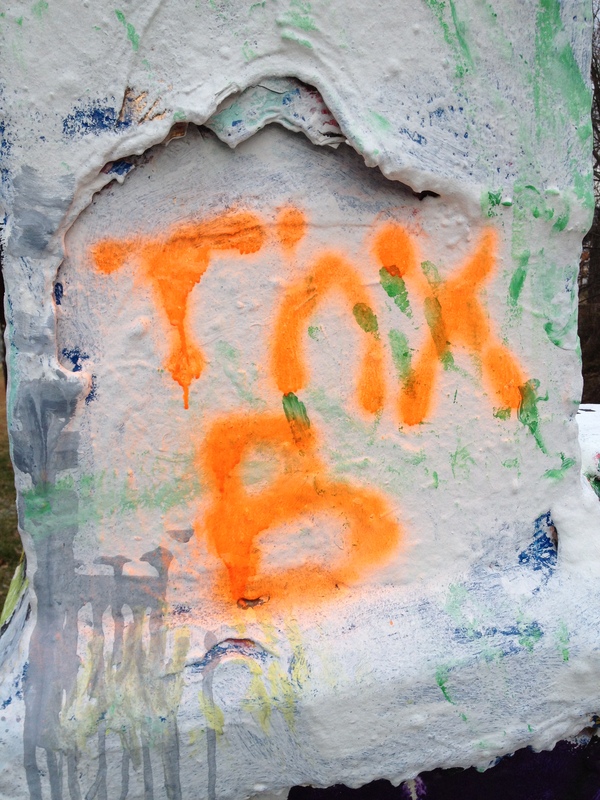 Might go without saying, but we used spray paint from Wal-Mart and a can of paint found in the basement. Don’t forget brushes! Use the bridge to take full advantage of your free speech. Promote something, advertise an event, wish a friend happy birthday, leave a message for a stranger, really the options are endless! Check out this awesome site, Beta Bridge (Almost) Daily for ideas. Finally, make sure you complete tradition by leaving a note thanking Beta! Awesome instructional! 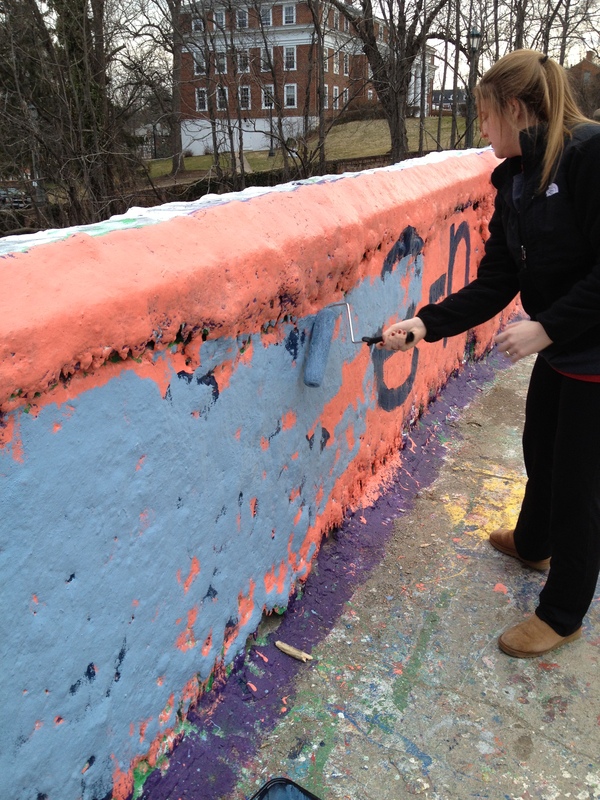 I agree, painting Beta Bridge is definitely something students should do before graduating.